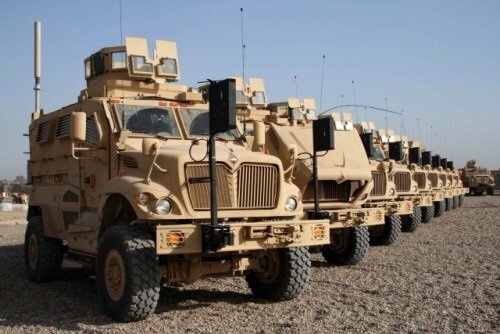 In a bid to fulfill its promise of helping Nigeria fight the Boko Haram insurgency, the United States will today, donate 24 mine-resistant and armor-protected vehicles to the Nigerian Army, Vanguard reports. The vehicles, which are valued at $11m, would be handed over to the military authorities at the Nigerian Army 9th Brigade Parade Ground, Ikeja Army Cantonment in Lagos. A statement yesterday, by the Public Affairs Section of the United States Consulate General Lagos, said: “The US is pleased to donate 24 Mine-Resistant, Armor-Protected (MRAP) vehicles valued at $11m to Nigeria’s military authorities.